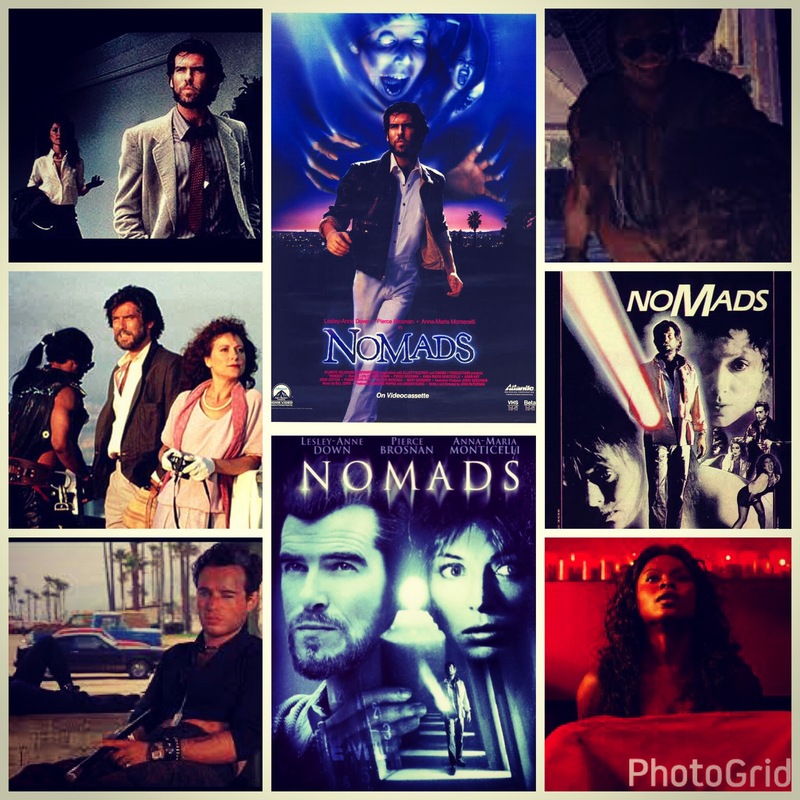 John McTiernan’s Nomads is one of the best, and most unconventional horror flicks that you’ve never seen. Nestled so far back into the 80’s that it stands as the mile marker for Pierce Brosnan’s first onscreen leading role, it’s a beautifully tense, atmospherically crafted fright flick that’s been lost to the hazy aeons of time. Unique in it’s ambiguity, this is a film bereft of bells, whistles, gore effects or even obviously spooky apparitions, relying solely on mood to impart illusory menace that’s never shoved in your face of spoon fed. Brosnan plays a French (hon hon) archeologist who begins to suspect he’s being followed by a group of unruly urban punks which, upon further introspection, could possibly be the malevolent spirits of a now extinct tribe he discovered years ago. It’s a vague, very weird concept, but it just somehow works, the presence of these grimy streetwalkers inciting palpable fear at the thought that they’re not what they seem at all. Opposites are at work here; by showing nothing, the filmmakers tell us and make us feel everything that is unseen, daring us to imagine what these mysterious beings might actually be, unsettling us further by having them appear in such benign (relatively speaking) form. It’ll frustrate many, but those tuned into the film’s eerie frequency will get the same chill down their spine that Brosnan perpetually walks around with, harassed no end by these meanies. The actors for these things are all especially chosen as well, each coached beautifully by McTiernan to act just normal enough to blend into the derelict fringes of an urban environment, while giving their demeanour an unnerving esoteric aspect, until they seem like a cross between mute versions of the Near Dark gypsy vampire clan and spectral coyotes. Brilliant concoction of subtle horror, clammy tension and gorgeously layered atmosphere.